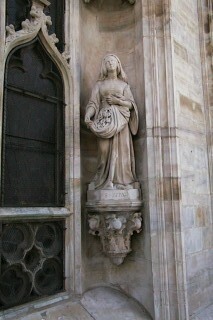 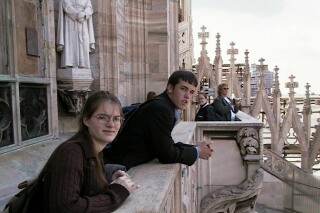 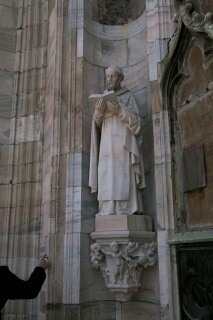 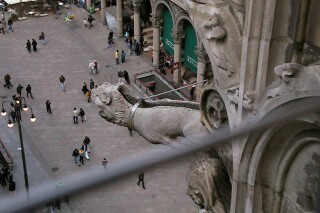 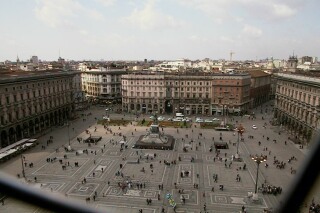 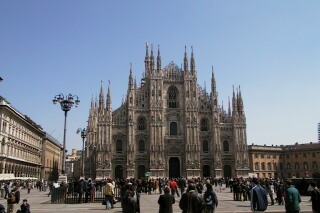 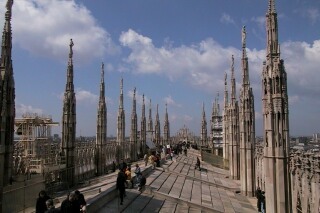 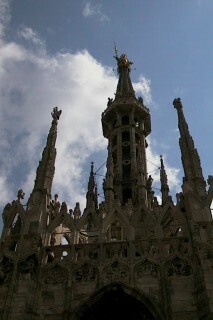 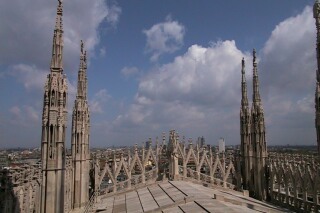 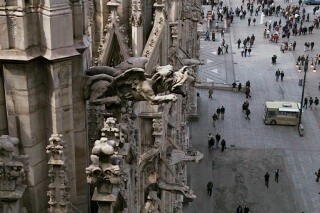 We went to Milan to see an opera in La Scala and to visit the Duomo, the Cathedral of Milan. 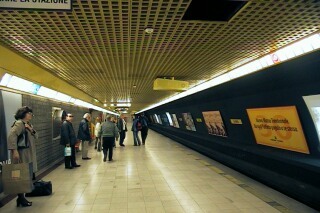 Here, we are waiting for the subway. 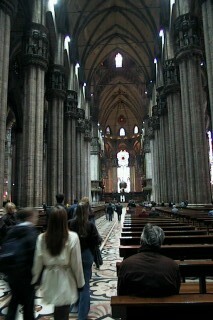 The inside of the Duomo, a gothic cathedral built in 1386. 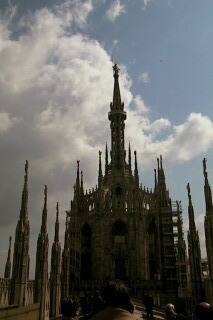 However, until today, the cathedral is still not finished. 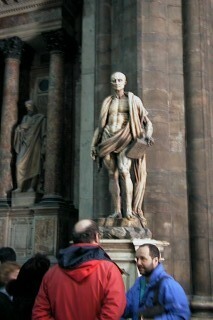 St. Bartholomeus, he was tortured by having the skin torn off his body. 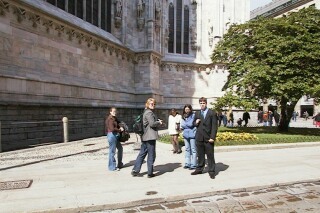 Heading for the steps to go up. 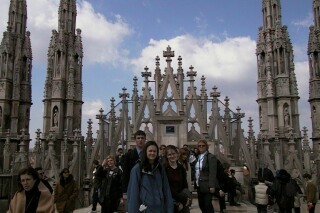 On top of the cathedral.